Habitat - Sandy woods, sandhills. 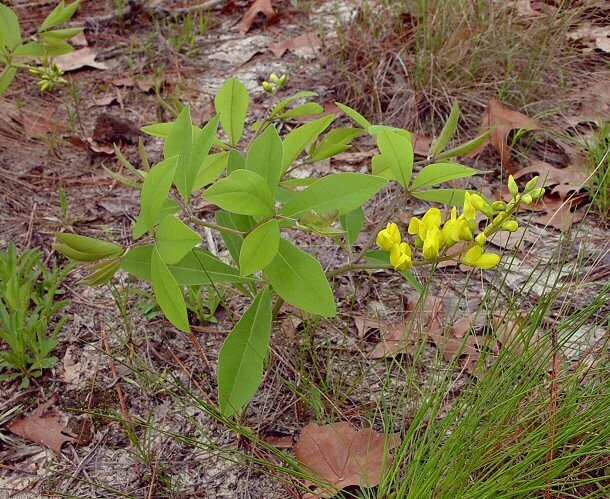 Other information - This species is rare in Alabama and has only been reported from one county in the state. It is more common in along the east coast of the U.S. 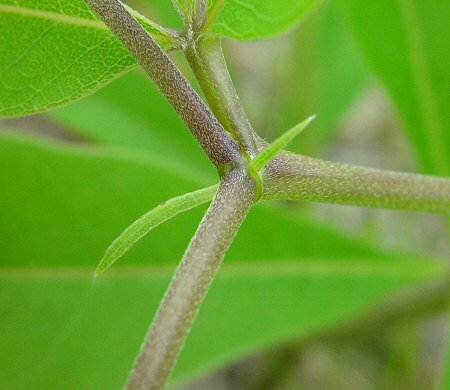 The plant can be identified by its linear leaf stipules, yellow flowers, and appressed-hairy stems. 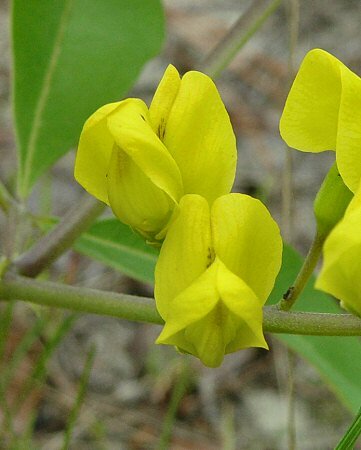 The genus name Baptisia comes from the Greek "bap (tis)" meaning to "dye, dip, or baptize" as this genus yields an weak indigo-colored dye. 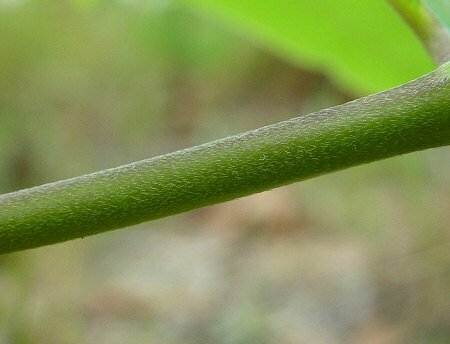 The species epithet cinerea is derived from the Latin "ciner" meaning "ashes", perhaps pertaining to the color of the hairs of the stems and leaves.